This hotel is located 350m from the beach, 16.5km from the city center and 29.5km from Antalya center.Facilities and services include an outdoor pool, restaurant, bar, elevator, parking, wireless Internet access at the lobby, fitness center, sauna and 24-hour reception. Rooms feature air conditioning, TV, telephone, safe (extra charge), mini bar, hairdryer and balcony/terrace. ** Please note that some of the above facilities may be closed due to weather / seasonal conditions. 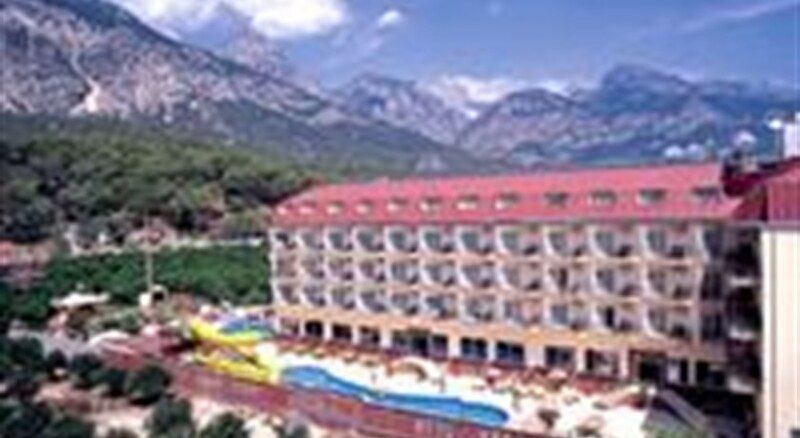 Address: Birinci Sahil yolu, Beldibi, 07985 Kemer, Turkey.